It was my first meal in SoCal since August, and I wanted to go with some friends to try this sushi place I’ve heard about. I don’t know why they have wagyu from Kobe, Japan (what people know as kobe beef), or kama toro (the collar bone of the bluefin tuna). It’s basically in the middle of nowhere—I’m not sure how they’ll be able to sustain business at this place haha. After finding out that this place had kobe beef and kama toro, though, I knew I had to try this place! 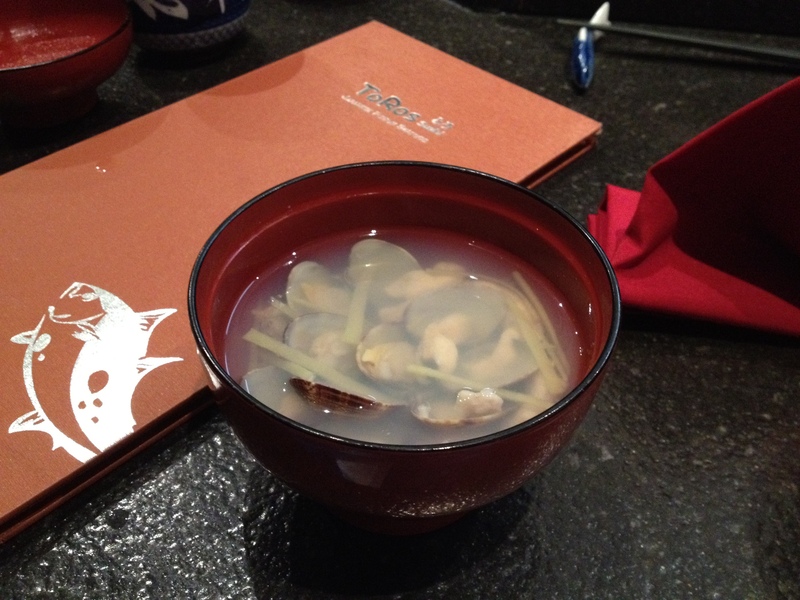 Finals just ended, so it was a nice excuse to go eat delicious food and drink a bunch of sake haha. 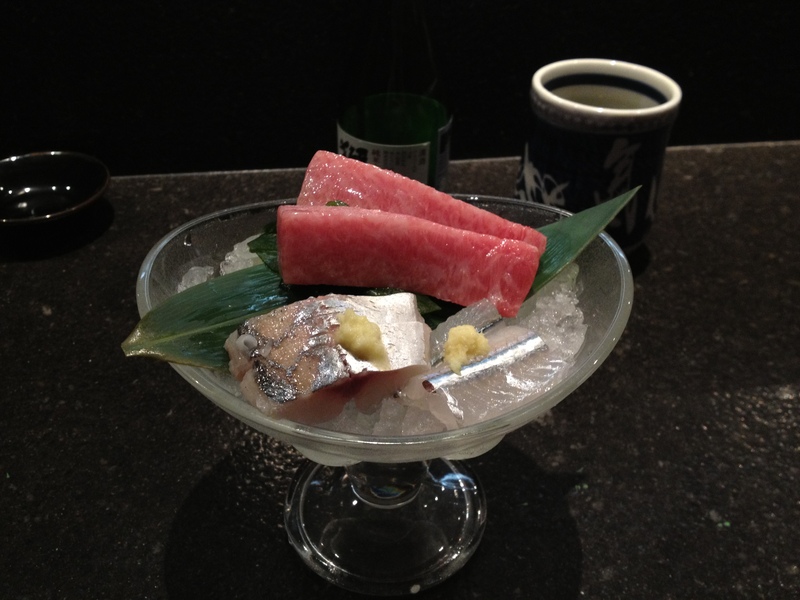 The fish was really good (especially the kama toro—but, then again, you can’t really go wrong with any kind of toro haha). The rice really wasn’t too great, however. At times, it was warm but a little too hard; at other times, it was cold and very hard. 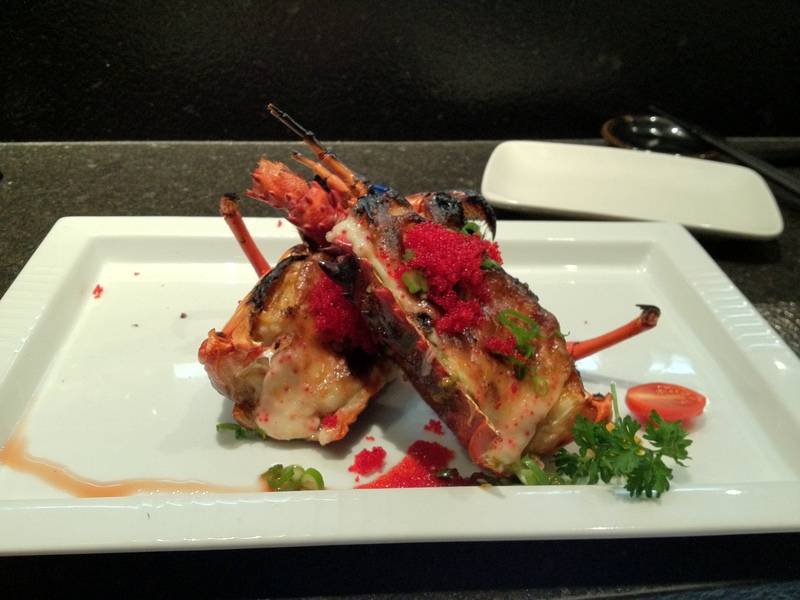 Overall, I think it qualifies as a pretty solid/good sushi restaurant with really high-quality fish/meat. Unfortunately, the rice could definitely improve a bit. For now, it might not be worth the price. 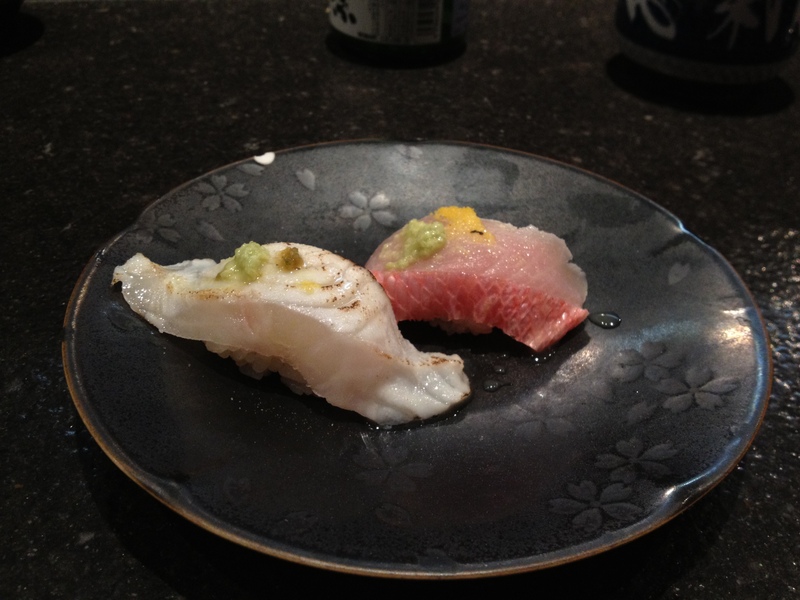 Right: Kinmedai (golden eye snapper). 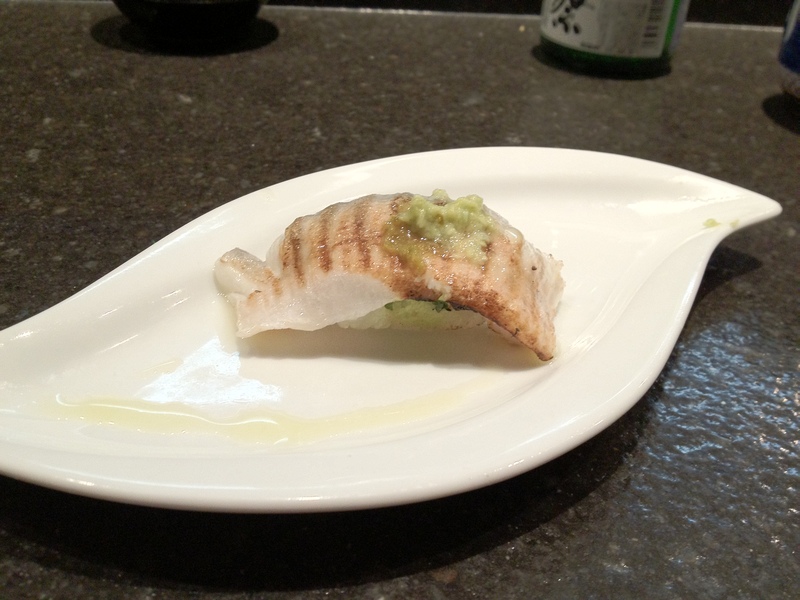 The kinmedai had way too much wasabi; it overpowered the fish (which was very good while I could still taste it) here :(. The toro was very rich and melted in my mouth (though it still wasn’t as good as the kama toro, which I had a few dishes later!). 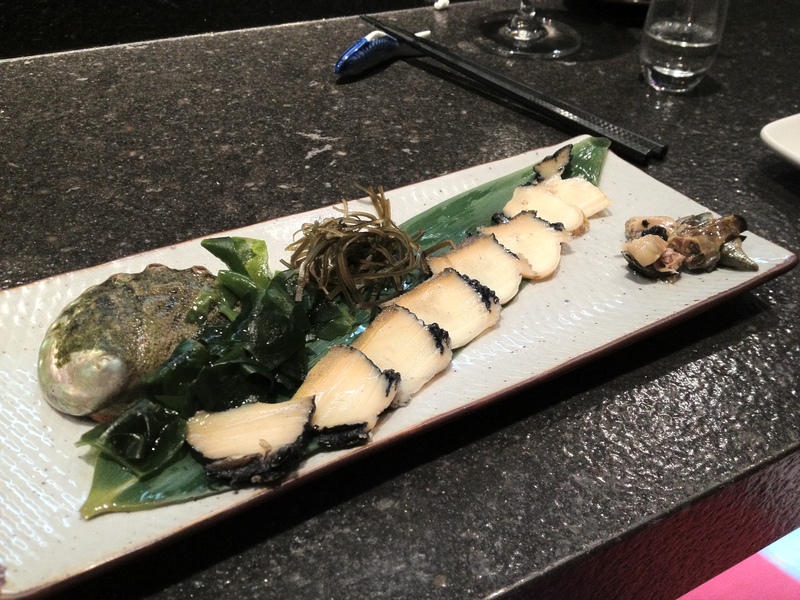 Right: Uni and salmon roe. 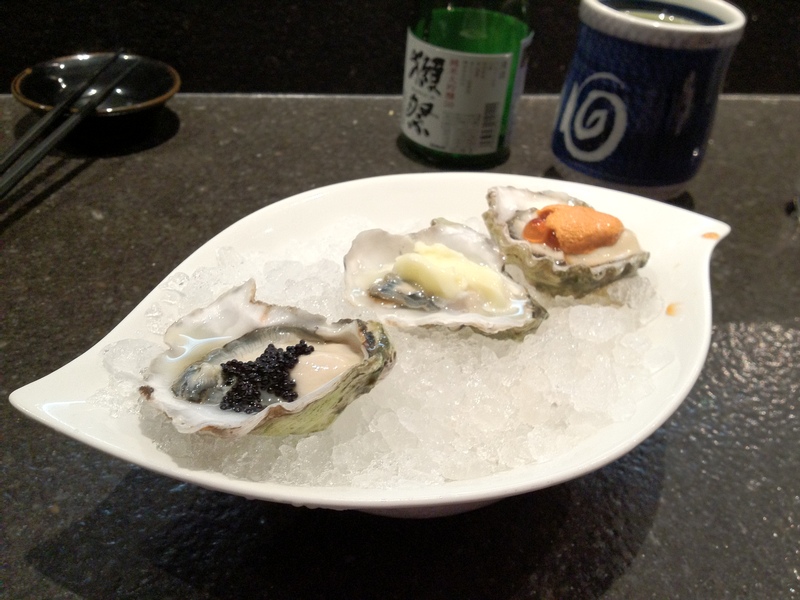 Each of the oysters managed to do a good job of contrasting each other, and the yuzu was a great finish to cleanse our palates. 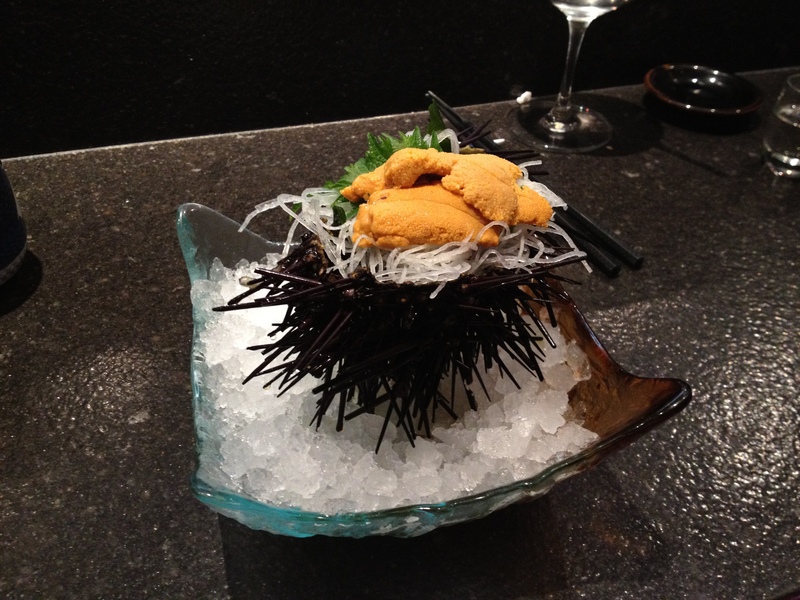 Uni from Santa Barbara, CA. Right: Boiled salmon with lemon wedge. 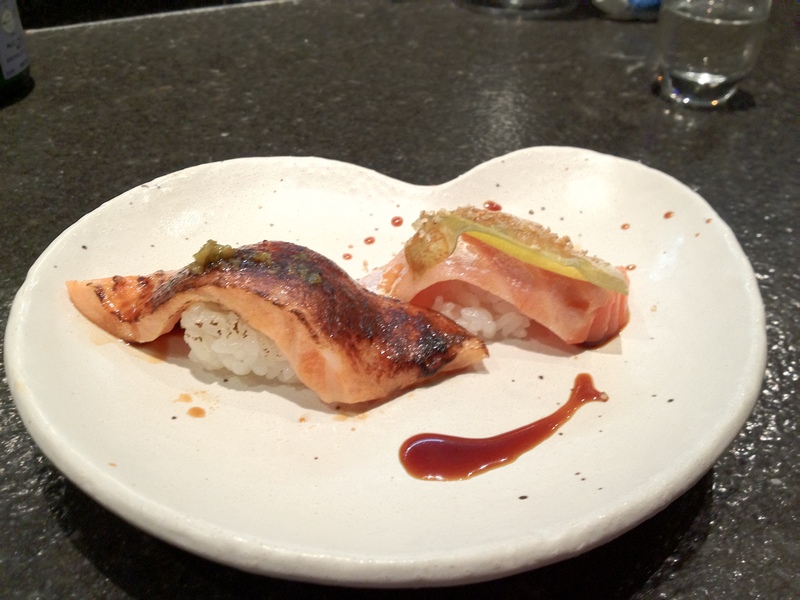 I thought it was hilarious how one of the sushi chefs was staring at how shiny it was and proceeded to take a picture with his iPhone hahaha. Anyway, this was DELICIOUS. It was so fatty and rich. I basically channeled my inner Monty for a sec there (cue uncontrollable happy face). 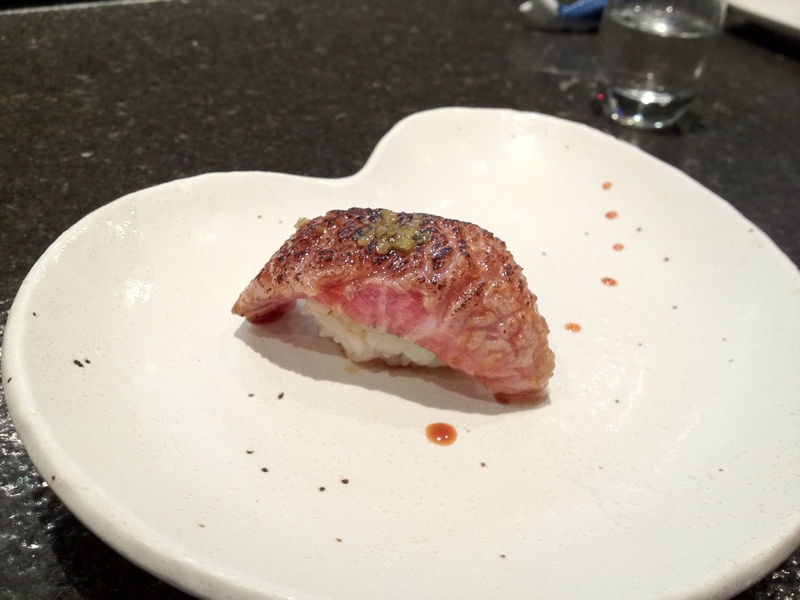 Aburi toro (lightly grilled tuna belly). 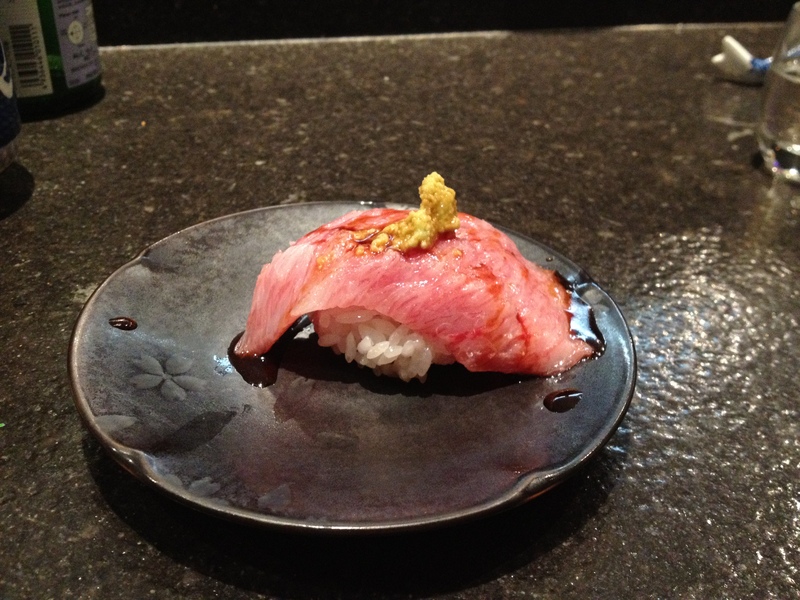 The previous kama toro was so delicious that I had to order another piece hahaha. Seared wagyu from Kobe, Japan, with wasabi and ponzu sauce. 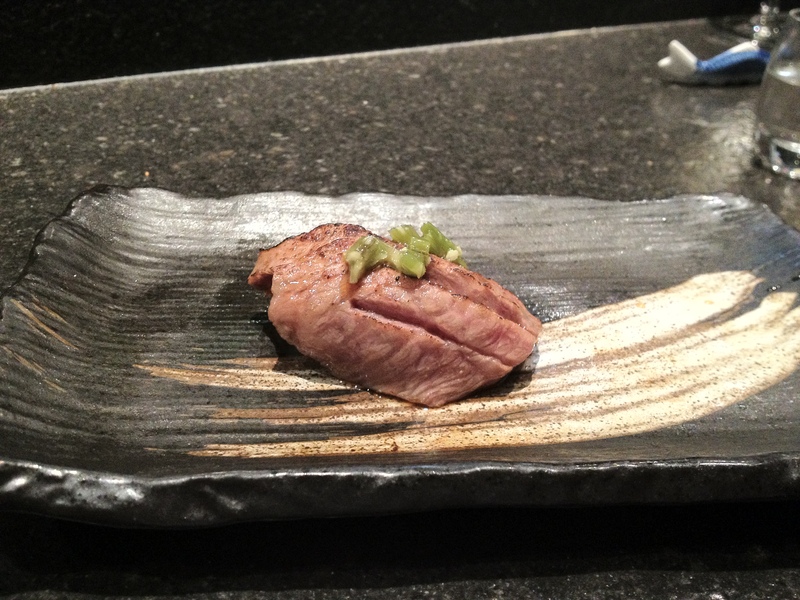 The kobe beef was also very rich like the kama toro (but in a different way). There’s something about really well-marbled beef that makes me really happy, and this piece was no exception. It was rich and intense in flavor, and I was incredibly sad once it was gone :(. 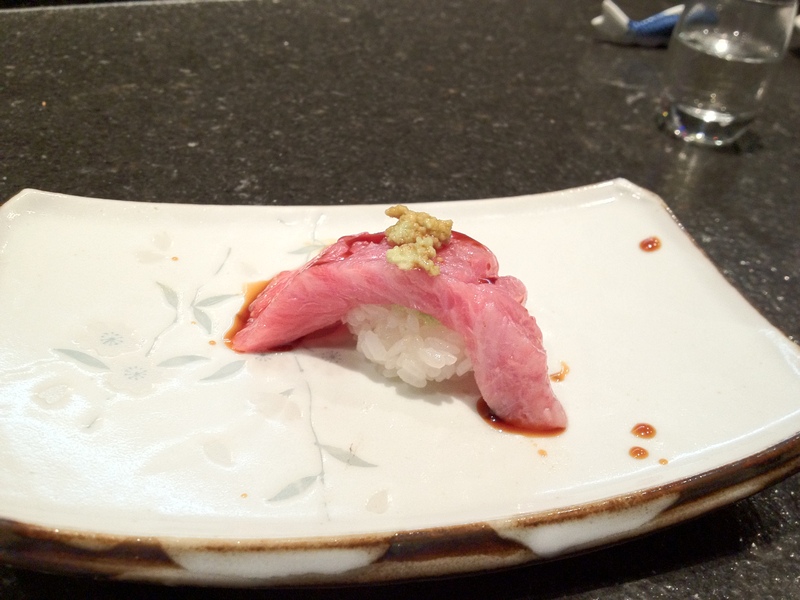 The wasabi helped offset the richness, and the ponzu sauce complemented the beef. 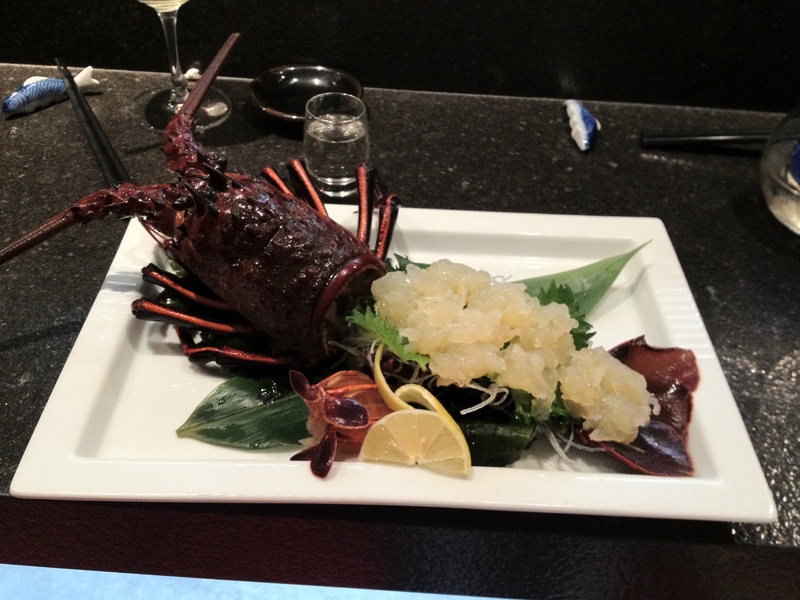 Grilled lobster (from the lobster sashimi). 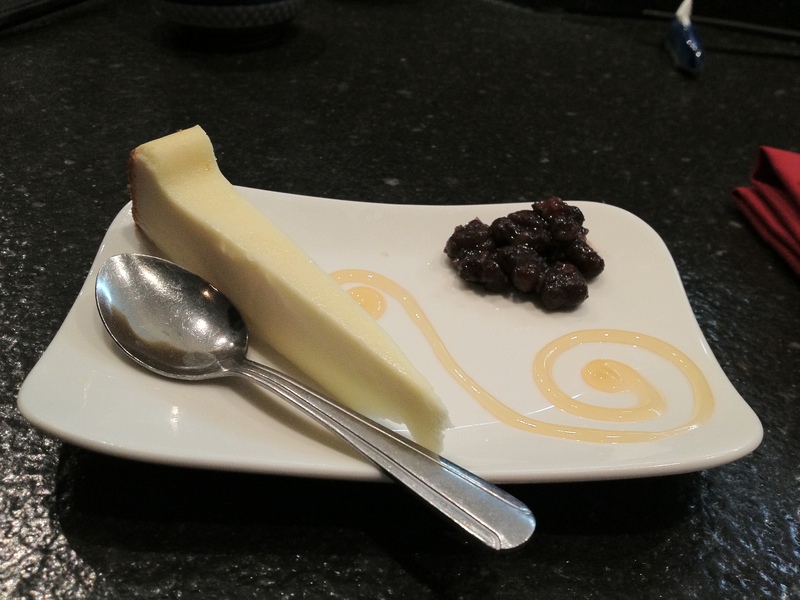 “Japanese cheesecake” with honey and red bean. The cheesecake was really light yet still rich in flavor; I guess it’s similar to other light Asian desserts, especially the kinds you can get at ChikaLicious (in NYC)! For some reason, this also reminded me of a cheese course a little (a really sweet one); I guess it was the honey and red bean haha.